Here be dragons! The power and grace of these majestic creatures can be found in all of the items in this section. 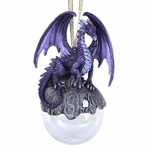 The dragon has been a symbol in every culture and for every part of recorded history! 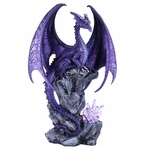 Whether you're looking for a dragon shirt, figurine, artwork or some other dragon product, you'll be sure to find it here!